Get Rid of Struggles with Kids about Money Once and for All! Money. For most families, it’s a taboo topic. As a business leader, I’m used to working with money every day. But I’ve found that I—and many of my colleagues and friends— struggle with our kids at home when money is involved, trying to answer what can they buy, what should they save, and where should they get their money in the first place? All too often, our kids end up growing up with no clue how to handle money because we’re just not sure how to teach them. For a long time, our family was no different. Our kids didn’t really understand the sacrifice required to give them what they wanted. It wasn’t their fault, really; we just didn’t share that information with them. When they wanted something, they asked. Like most parents, we wanted to say yes all the time — but knew we couldn’t and shouldn’t. So it became one guilt trip after another as we repeatedly said no – and then caved when we felt bad about it. Even though we tried to treat them all fairly, we always felt as if we were failing to be fair and failing to teach our kids how to handle money in the real world. We experimented with giving them regular allowances, but found they didn’t take ownership of the process and, frankly, they didn’t have an immediate need for the funds. Add to that the occasional uproar over lost or missing money, and we decided we needed a different approach. The solution to our struggles with our kids about money came when we created a family currency of our very own: in place of cash and coin, we used marbles. I made one trip to Dollar General to stock up on marbles and some inexpensive glass jars, one for each child. We set up an exchange rate of $.50 per marble. This way Mom and Dad kept all the legal tender, but the kids had ownership over the marbles. We then created a demand for marbles by letting the kids know we would no longer purchase things they wanted no matter how much they begged. If they wanted money for anything, they would need to earn marbles by doing tasks around the house. We created a master list of tasks that needed to be done on a regular basis and posted it, along with the payment rate in marbles. 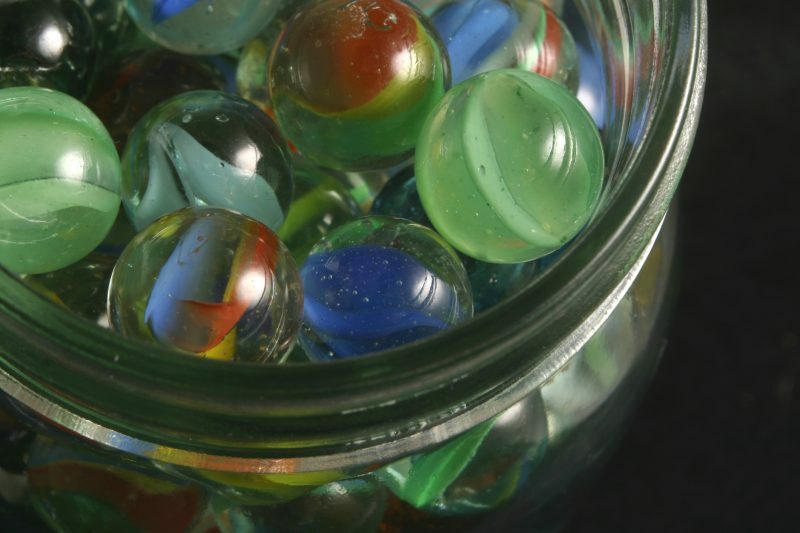 As the kids completed a task, we doled out the marbles into their jar. As other tasks surfaced, we’d post them on the fridge where all had the opportunity to earn extra marbles if they chose to do so. They didn’t have to do it all. But if they didn’t work, they wouldn’t have any marbles. We still asked the kids to do some household tasks simply as being part of the family, for which there is no compensation. How much they’d get “paid” for marble jobs always depended on how well the tasks were done. For example, doing a task willingly and well paid the full amount. If a child had to be reminded or didn’t do the task well, the payment decreased. If he or she really blew it off, they may not have been paid at all, just like in the real world where we business leaders live every day. By using this simple system, we no longer had to battle to get things done. Instead, the kids readily volunteered. We no longer felt we had to say no all the time. In fact, we were positioned to say yes even while we taught our kids how to earn, spend and save. The best part was this system worked as well for our youngest child as it did for our oldest. We added an incentive to save. We offered to double their money if they “cashed-out” and put their funds into their college saving account. On occasion, we’ve even offered to triple their funds if they chose to save them. After every single child took us up on the offer, Mom had a lot of help for the next month as they scrambled to replenish their spending marbles. Talk about win-win! We rewarded them for finding others doing something good. If they saw a sibling going above and beyond – and told us about it – they got rewarded. In this way, we incentivized encouragement, trained them to reinforce positive behaviors as leaders, and made it easier for us to keep track of who’s doing what. Thanks to our family currency system using marbles, we spent less using marble money than we did before. We no longer struggled with our kids about money. We got a measurable return on our investment in them even as we prepared them to deal with money in the real world. 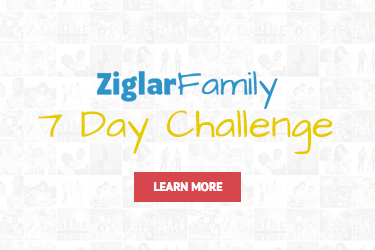 Question: What do you think of our family approach to struggles with kids and money? How would your family benefit from doing the same thing? You can share your thoughts by commenting below! I think this is a great system, but with Grandparents in our team who provide most things our children ask for we are still in the “no immediate need” zone where neither marbles, cold hard cash nor appealing to their altruistic nature raises interest in doing chores or managing money. Hi Mark! I’m 22 years old, I’m an entrepreneur… and I know nothing about managing money. I wish I’d have learnt from when I was little, I’d surely find it very useful now! The thing is, my family has always had enough money, and I’ve always been a natural saver, so my expenses were never a problem… but now that I’ve created my own business, things have become more difficult and I struggle with managing finances! So when I have children I’ll definitely want to educate them about the basics of money. I think your idea is a really good one. Great idea! I’d love to know more about the kinds of tasks you expected of your kids and the payment rate? Hi Heidi-Mai! Please read the response I just left for Carmelita, which will answer your question! Thanks for asking! I like the idea very much. Can you give us concrete examples of how you used the system and perhaps the adjustments you had to implement for older kids? I have 3 boys, ages 16, 10 and 8.